Are you interested in trying IGoR, but unfamiliar with editing wiki pages? If so, try creating a "sandbox" page. You can test out page editing and creation, and see if you like it. Only you and the site admins will be able to access your sandbox page (note: other people could find methods to see your sandbox page if they are motivated enough). Anyone can create a sandbox page by entering a title and clicking the button (please see "notices" below). A blank text editing field will appear. Play with typing text and using the buttons for adding code to format or add page elements, and to see what happens. Please see tips and notices below. Preview feature: Click the "Preview" button (below the editing field) to see what the page would look like to a viewer (the preview appears above the editing window). Using without signing in: If you are not logged into Wikidot, you can create a Sandbox page, but you will only be able to see your page in "preview." To return to the page you will have to be logged into Wikidot when you create it. The easy way to learn: Try copying the code from other pages to see how they work. Click the "options" link at the lower right of the page you want to copy from, and then click "page source." Copy the text that appears into the editing field in your sandbox page. Then tweak it at will. See what makes it fail! See what makes it work! Help pages: If you get stuck, use IGoR's help page or Wikidot's help site. Keep track of your page: If you wish to return to your sandbox page, keep track of its web address. Inserting images: If you want to try to insert images, you can either use a link to an image on another page (e.g. 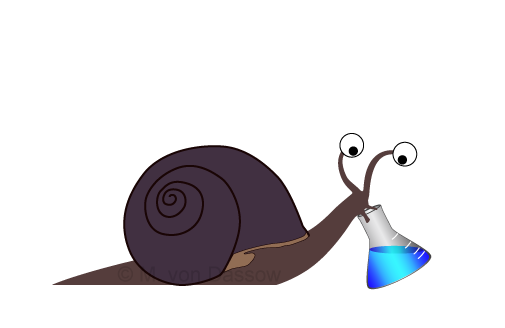 http://igor.wdfiles.com/local--files/start/TheInvisibleSnail.png ), or you can upload your own image. But, you can only upload an image when you are not in the editor view. So you have to save your page, and then upload your image to it. Sandbox pages are temporary. They may be deleted if they have not been updated for a week. <300kb: Please keep the sandbox page memory use low (<300kb total).